Erika Cohn's documentary, The Judge, introduces us to Kholoud Al-Faqih, who became the first ever female judge of an Islamic Shari'a court in Palestine. Shari'a law and women's equality aren't exactly two things western audiences would see as compatible, but Al-Faqih is looking to change that perception, bravely leading the charge for women's rights in the Muslim world. 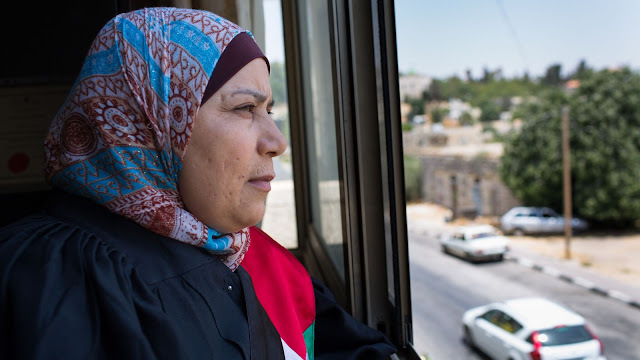 Naturally, Al-Faqih is met with a lot of resistance, even from those who support her, which makes The Judge an often fascinating exploration of the tensions between tradition, religion, and the law. Female subjugation, Al-Faqih argues, isn't based on the Qu'ran, but on ancient patriarchal tradition, and hopes to upend centuries of inequality simply by being good at her job. Her presence on the court also helps ensure that a justice system by and for men understands where women are coming from, rather than simply protecting the interests of men. That's what makes Al-Faqih so special, she isn't just there to make history or to be the first, she's there to provide a balancing viewpoint in an otherwise male-dominated system. In a world where men are allowed multiple wives as a way to prevent infidelity (a luxury that women are not afforded) Al-Faqih becomes a voice for those who have been without one since the time of Muhommad. At first, The Judge examines her normal caseload, which is often filled with family disputes, but soon becomes a riveting look at the backlash she faces when the men who originally advocated for her lose their power. The men in the film seem surprised that Al-Faqih would have a problem with the lack of female judges. "Women have equality," they claim, "and we have no quotas for judges. What's the problem if all the judges are male if they see women as equal?" The Judge is a quiet but firm rebuke to those outmoded ideas, as Cohn explores the importance of female perspective when male privilege prevents them from seeing or understanding the obstacles women face, calling on all men to wake up and do better. 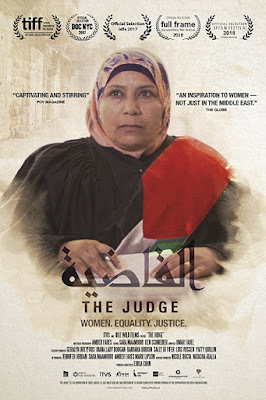 The Judge may take place in Palestine, but it's an eye-opening portrait of rampant male privilege and the struggle for women simply to be heard. It's also a deeply unnerving study of internalized sexism, as even some of the very women Al-Faqih seeks to help think that women are just too emotional to be judges. Yet Cohn does not let western audiences off the hook. Inequality may be more obviously pronounced in the Arab world than in the west, but it is no more insidious. In a world of seemingly exaggerated, normalized sexism, Cohn finds a universal plight among women struggling against a system created by men for their own benefit. It would be a mistake for American viewers to write this off as an exotic problem in a far away land, it's happening right in our own backyard. The Judge is a bracing study of a fearless pioneer whose quest for justice reverberates far beyond Palestine and into a world that is still woefully skewed in the favor of men. 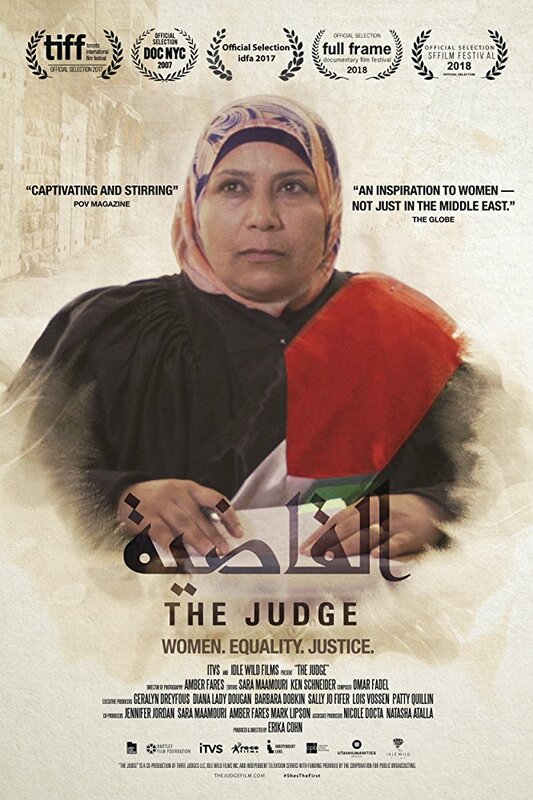 THE JUDGE | Directed by Erika Cohn | Not Rated | In Arabic w/English subtitles | Opens April 13 in New York City, additional cities to follow.